I love a good success story from the Chicago music scene. Sad Brad Smith caught a fantastically lucky break when director Jason Reitman commissioned the song "Help Yourself" for his film "Up in the Air," garnering Smith plenty of deserved attention across the country. If you haven't seen the film (which I admittedly haven't), the song's worth a listen or more on its own. Full of melodic layering and charming lyrics, it proves Reitman's choice of unknown was in good faith. 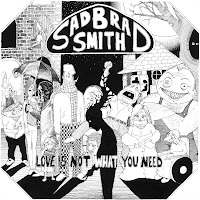 If you come into Sad Brad Smith's debut album Love Is Not What You Need expecting something fully in the vein of "Help Yourself," you're in for a few surprises. Smith has settled into a groove that's more buoyant pop-rock than introspective chamber folk. Instead of lush harmonies and fingerpicked chords, the debut offers bouncy, staccato basslines and gentle pop hooks in a style reminiscent of Jon Brion's album work or Information-era Beck without the hip-hop edge. The album journeys through the ruins of a failed relationship, picking up the pieces and trying to learn something from them along the way. Lyrically, the songs rarely stray from that path; most tracks orbit around the same estranged love and all the longing and guilt and other nice feelings that come with it. By the end of side A, we almost seem to be running out of material. But Smith often plays with the mood of the music that carries his words, placing his pain under new lights and seeing how it looks. Unlike Beck, who slows to a dirge when he gets sad, Sad Brad Smith likes to work with the irony of casting bleak lyrics atop uptempo pop backings. From the piano jangles of opener "Sure" to the keyboard chirps and acoustic chords of "Baby, I'm So Sad," we're in a consistent world of quirky melancholy. "We Are Free," a slow march threaded with slide guitar, changes the game somewhat and offers some of the record's strongest moments in doing so. For the first time, the tone of the music and the mood of the lyrics synch perfectly. 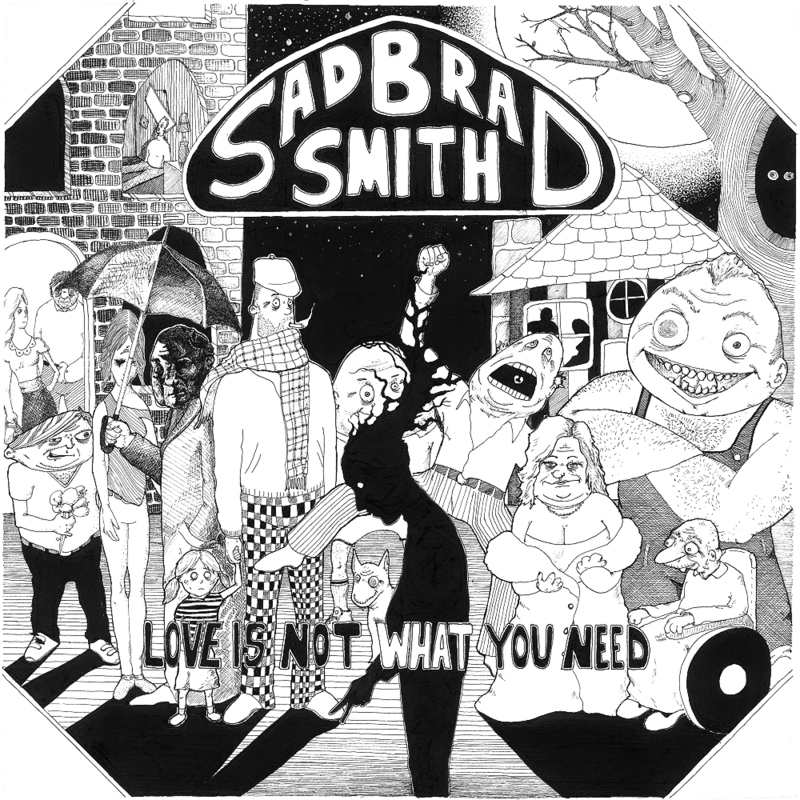 The straightforwardness strikes a new level of intimacy as Smith traces his estranged love with simpler and more poetic lyrics, his voice elongated to fit the slower tempo. We don't stay at that pace for very long. "Bad Mood" and "Tombs" lead us right back into the quirk, which now sounds silly after that moment of plain sincerity. Luckily, Smith isn't done surprising us--maybe side B's weak takeoff is even an intentional fake-out. "Old Days Are Here Again" leads us with apocalyptic imagery into the record's title track, which tonally takes a dramatic turn. Smith allows the timbre of his voice to bottom out, the sound of acoustic guitar to echo in space, rendering a deep stillness, a haunted low. It's as though a young Leonard Cohen popped in for a visit, plunging the record into an unearthly darkness. It seems to come from nowhere, and for that, it's the boldest thing Sad Brad Smith does on the record. Finally, the feeling and fragility that inhabits the lyrics on the rest of the album are shown in no uncertain terms. A bridge and exit of ghostly whispers makes it all the spookier, and when we're welcomed on the other side with drum machines etching pop tempos, we're a little unsure of what just happened to us. However, unlike the switch between "We Are Free" and "Bad Mood," there isn't the sense that we're exactly back where we started. The album finishes by returning to pop with the knowledge that it's learned something from the darkness. "Training For Love" leaves us on a cautiously optimistic note. "I'm training for love/And I hope you can wait for me," states Smith by the end. Because really, what else can we do upon exiting the dark but try to be better for it? 'Love Is Not What You Need' is available for streaming and as a $7 digital download here. Sad Brad Smith will also be releasing the record on vinyl with his band at Schubas on Sunday, January 23.